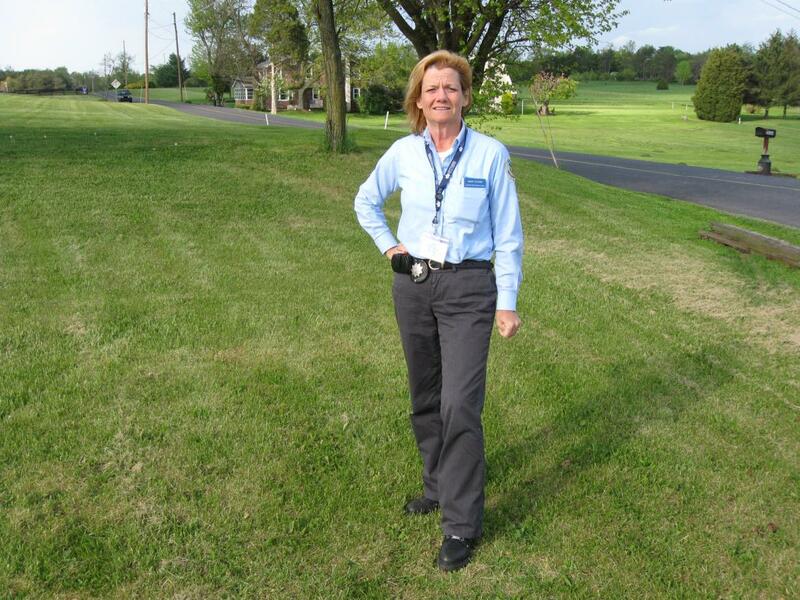 Gettysburg Licensed Battlefield Guide Andie Custer is our host for this series on South Cavalry Field. Devils Den, the Bushman Farm, and Warfield Ridge/Seminary Ridge are in the left background. Houck’s Ridge and Plum Run Valley/Valley of Death are in the right background. This view was taken facing southwest at approximately 5:00 PM on Wednesday, April 21, 2010. 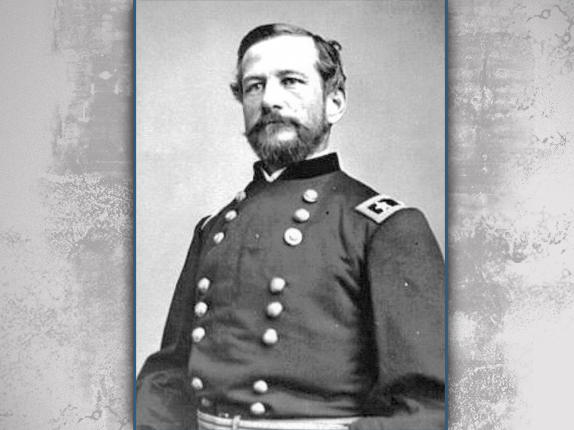 In today’s post, Gettysburg Licensed Battlefield Guide Andie Custer presents U.S. Major General George Gordon Meade’s plan of attack following Pickett’s Charge, and brings the Third Division of the Cavalry Corps from Hunterstown to the Baltimore Pike. This map shows us the locations taken of the videos for this South Cavalry Field series. 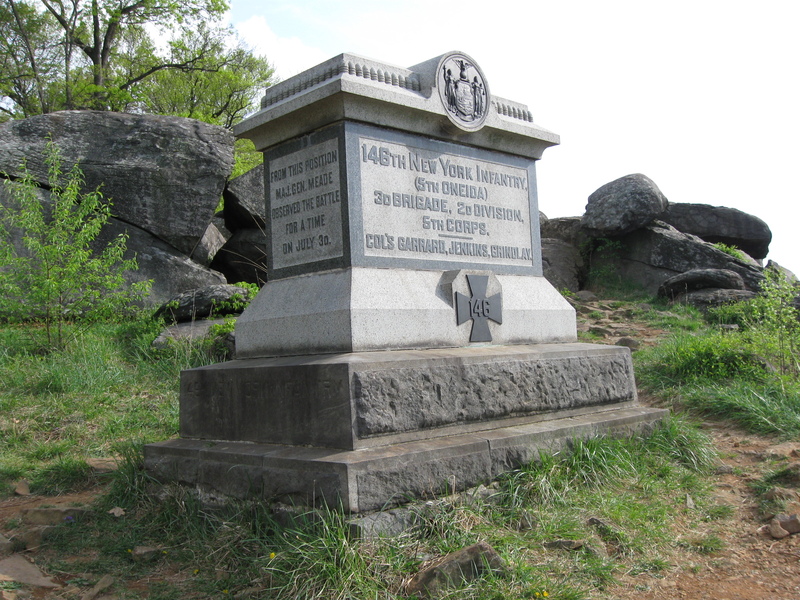 Videos #1 and #2 were taken on the north slope of Little Round Top near the monument to the 146th New York Infantry Regiment. Video #3 was taken at the junction of the Low Dutch Road and the Baltimore Pike. This map was created facing north at approximately 9:00 AM on Saturday, April 24, 2010. 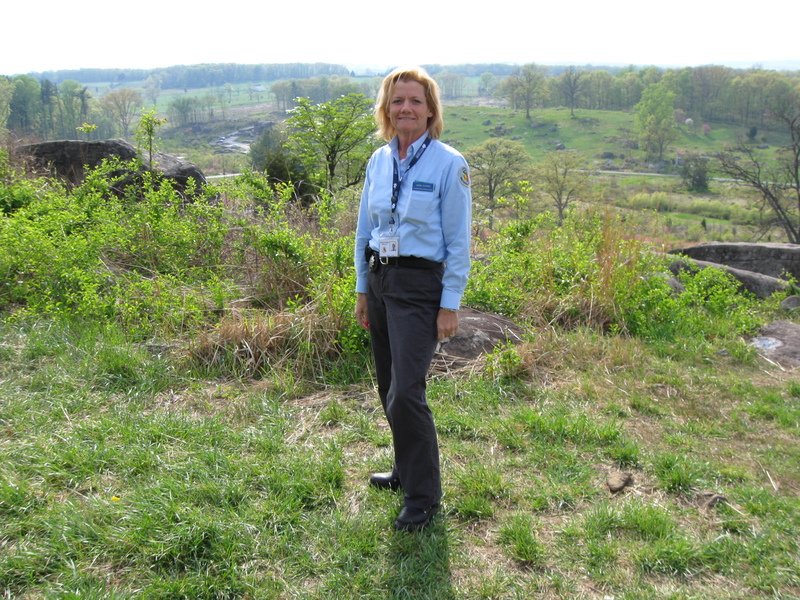 Gettysburg Licensed Battlefield Guide Andie Custer is standing on the north side of Little Round Top. Plum Run Valley/Valley of Death and the Wheatfield Road are in the left background. In the right background is Cemetery Ridge and the light colored Pennsylvania State Monument. 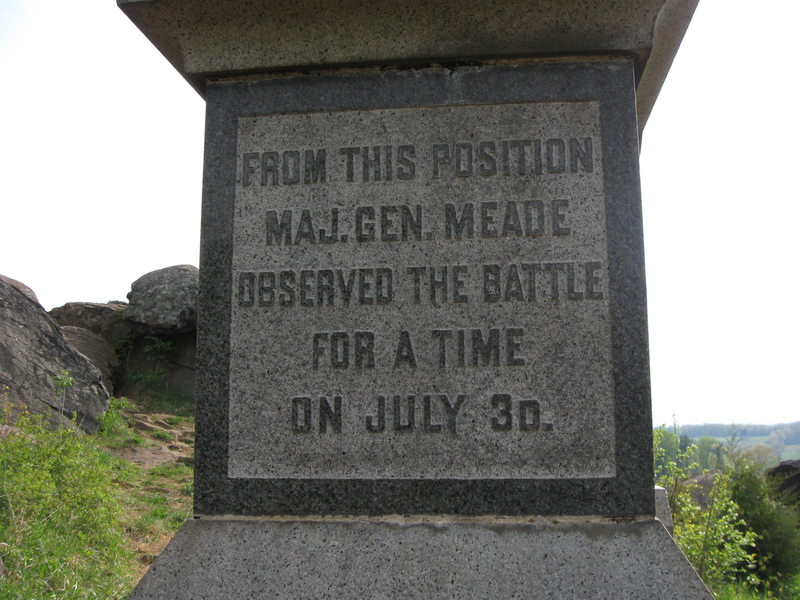 Following Pickett’s Charge, General George Gordon Meade rode from the Cemetery Ridge area to Little Round Top to view the battlefield from the location where Andie is standing. This view was taken facing northwest at approximately 5:00 PM on Wednesday, April 21, 2010. In Video #1 Gettysburg Licensed Battlefield Guide Andie Custer introduces herself and shows how General Meade rode to this position following Pickett’s Charge. This view was taken facing northwest to north to west at approximately 5:00 PM on Wednesday, April 21, 2010. Major General Alfred Pleasonton was the commander of the Army of the Potomac’s Cavalry Corps during the Gettsyburg Campaign. This view, courtesy of Andie Custer was taken circa 1863. In Video #2 Licensed Battlefield Guide Andie Custer explains General Meade’s plan for attacking the Confederate right on the south end of the battlefield following Pickett’s Charge on July 3, 1863. This view was taken facing southwest to west at approximately 5:00 PM on Wednesday, April 21, 2010. 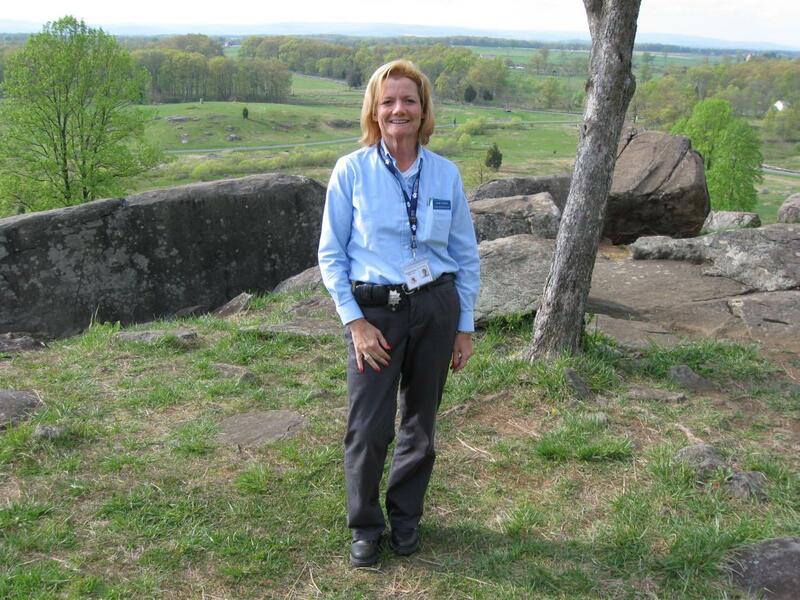 Andie Custer was standing on the north side of Little Round Top near the monument to the 146th New York Infantry Regiment. They put on the left/northeast side of their monument an indication that General Meade was here on July 3, 1863. This view was taken facing south at approximately 5:00 PM on Wednesday, April 21, 1863. A closer view of the northeast side of the 146th New York’s monument. This view was taken facing southwest at approximately 5:00 PM on Wednesday, April 21, 1863. 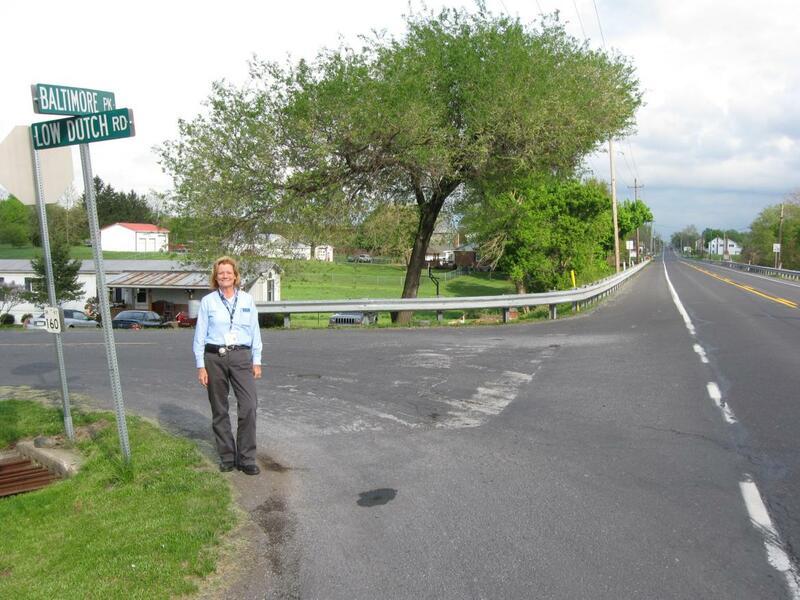 Andie Custer is standing at the junction of the Baltimore Pike on the right, and the Low Dutch Road on the left. This view was taken facing southeast at approximately 5:00 PM on Wednesday, April 21, 2010. 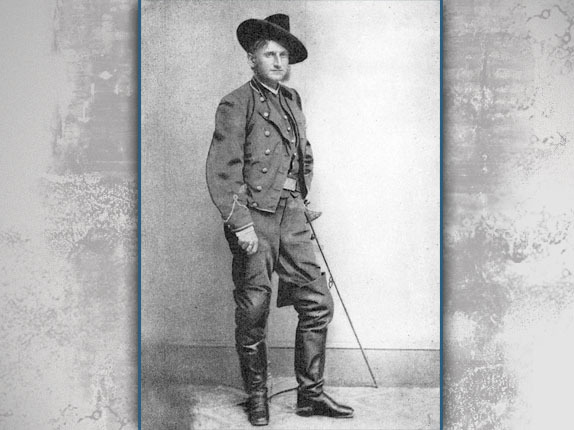 In Video #3 Andie Custer brings the Third Division of the Army of the Potomac’s Cavalry Corps from Hunterstown, along the Low Dutch Road, to the Baltimore Pike on the morning of July 3, 1863. She explains how the two bridges of the third division, under George Armstrong Custer and Elon J. Farnsworth were separated in order to find water. This view was taken facing northeast to southeast at approximately 5:00 PM on Wednesday, April 21, 2010. 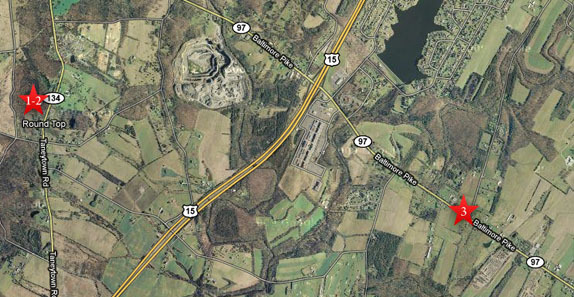 Andie Custer is standing near the junction of the Baltimore Pike (out of sight on the right) and the Low Dutch Road, seen here. This section of the Low Dutch Road connected the Hanover Road with the Baltimore Pike. This view was taken facing northeast at approximately 5:00 PM on Wednesday, April 21, 2010. 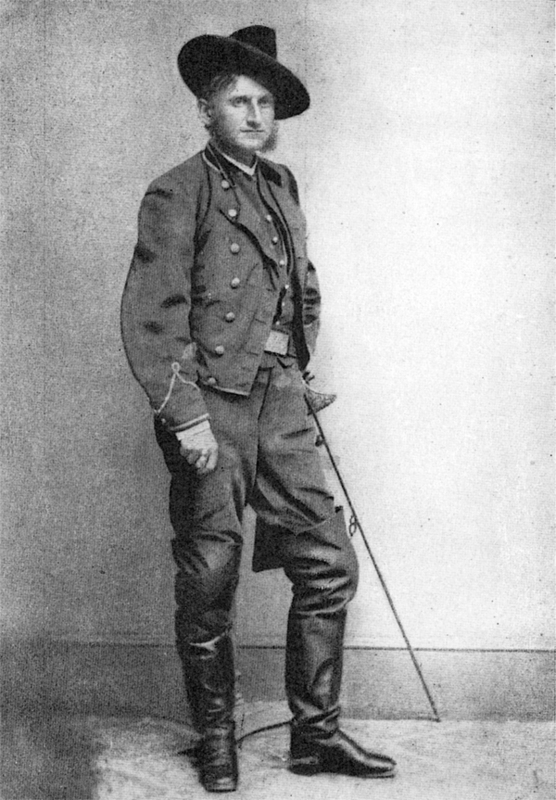 Brigadier General Judson Kilpatrick commanded the Third Division of the Army of the Potomac’s Cavalry Corps at Gettysburg. 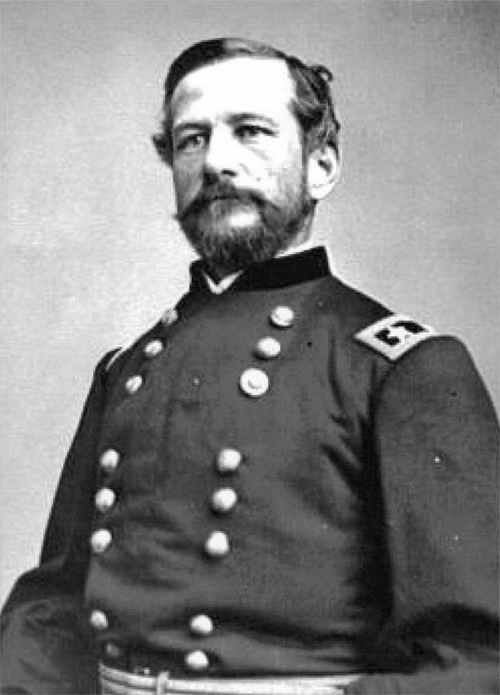 The Third Division consisted of two brigades: The First Brigade commanded by Brigadier General Elon J. Farnsworth, and the Second Brigade under Brigadier General George Armstrong Custer. This view was taken circa the 1860s.